If the recent slew of Samsung adverts are to be believed consumers are especially poor at not bending, dropping or drowning their phones. Small they may be, but modern phones cost a small fortune, on par with buying a new laptop computer, so you may wish to consider investing in an extra level of protection in the form of a military grade drop case. 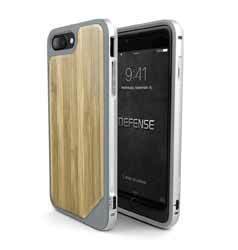 X-Doria produces a range of cases for the iPhone 7 to address just this issue. We’ve already looked at a previous iteration, the Defender Gear. This case exuded a more modern vibe with its machined aluminium. The new one, the Defender Lux, is essentially an improved version of the case, but this time the backplate is rendered with a faux wood look. There are two in their Defence Lux Wood series, a light and dark wood finish on the back plate. Other than this the overall specifications remains the same across the range. The case is made of metal, the fit was snug and there are holes for the camera and the ringer mute button. More of the buttons are hidden beneath the case. Here there have been some changes to the original design. This time the lower section, with the speakers is detachable, which makes getting the pone in and out of the case much easier. There have also been changes to the buttons: gone are the rubberised buttons, replaced by better machined metal alternatives. The case adds only around 2.0 ounces to the weight and adds 1.5 mm around the phone. 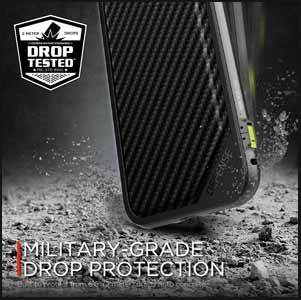 The case is made from military grade drop resistant metal and the manufacturer claim that it should protect your phone from a two metre drop. Inside the case the edges are lined with a shock-absorbing polymer and the back sports a hard polycarbonate shield. The build is good and the overall effect is attractive. In practice the case doesn’t protect the phone screen from any pointed impacts to it, which would have made the touch screen problematic to use, but the 1 mm raised edge should protect it well from any flat impacts. I wasn’t sure about the wood finish, not that it is not well executed, it’s just a personal choice not to juxtapose my electronics with a wood finish, but you may think otherwise. The ability to remove the bottom section and so slide your phone into the case is a vast improvement on the original design and should stop any damage happening to either the phone or the case when changing it.